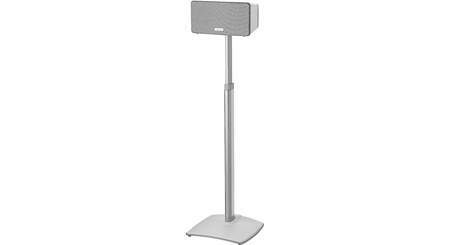 Compatibility: The Sanus WSSA1 height-adjustable speaker stand is designed to work with the Sonos One, Play:1 and Play:3 speakers (sold separately). 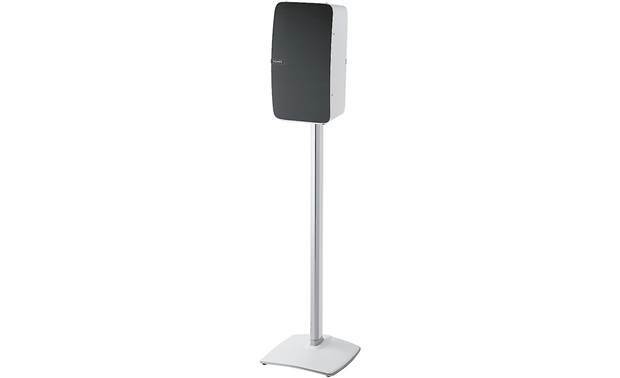 The Sanus WSSA1 mounts the Sonos One or Play:1 speaker vertically. 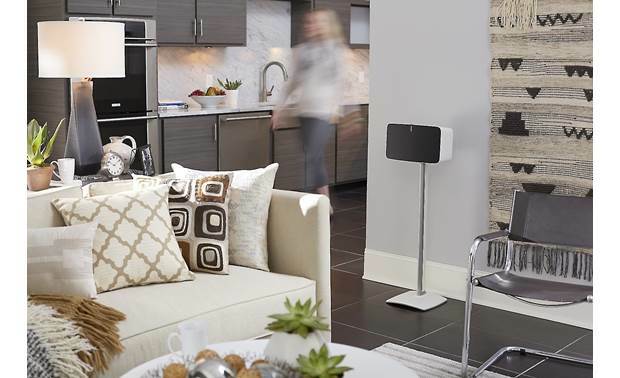 It can mount the Sonos Play:3 speaker either vertically or horizontally. The WSSA1 comes with three different mounting plates based on the the type of Sonos speaker and the orientation you will be mounting the speaker. Height Adjustable: The Sanus WSSA1 offers 17" of effortless sliding, tool-free height adjustment. 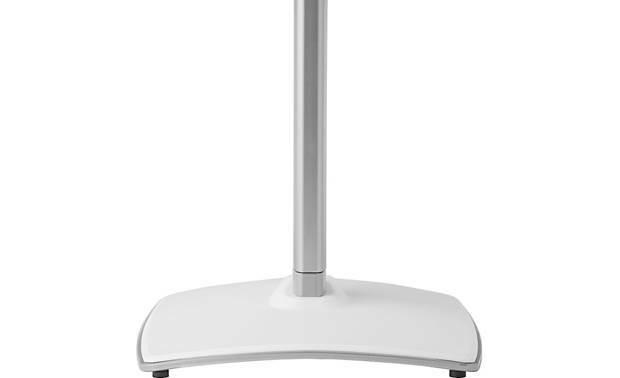 The stand's height is adjustable from 25" to 42". 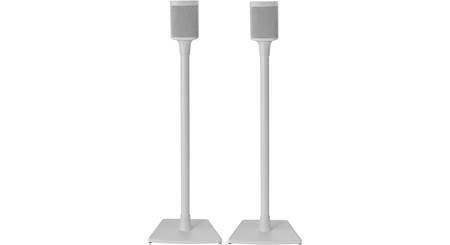 Rubber or Spike Feet: The Sanus WSSA1 speaker stand comes with both rubber and spike feet to accommodate different flooring. The rubber feet should be used on hardwood, laminate, and tile flooring. 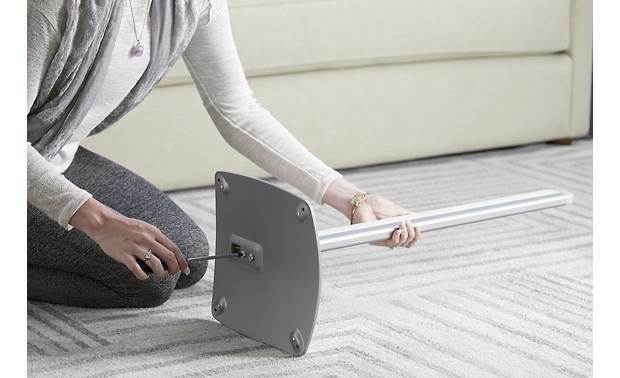 The spike feet should be used on carpeted flooring. Both types of feet screw into the bottom of the stand's base. 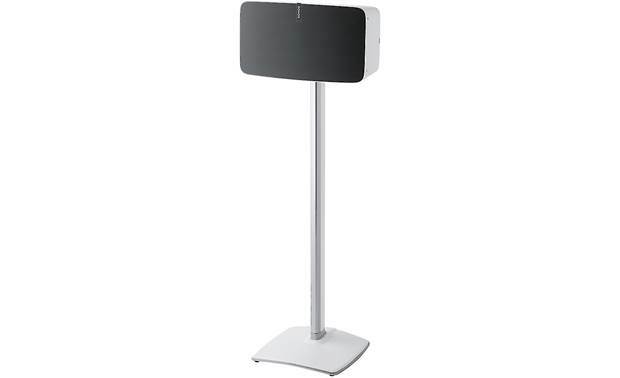 Searches related to the Sanus WSSA1 Adjustable-height speaker stand for a Sonos One, Play:1, or Play:3 speaker.